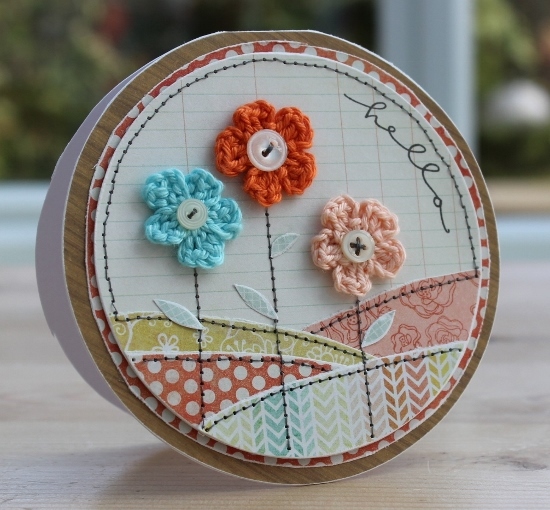 This card was inspired by the embroidery hoop trend. that I've been seeing in all the home styling magazines and on Pinterest, I've even set up a board HERE dedicated to hoops! Instead of a hoop I've used some wood grain paper to give the effect and lots of stitching, it's been a while since I've made a stitched card, and it's good to be back in my comfort zone. The flowers I've crocheted using this pattern and 4ply mercerised cotton from the knitshop, just right for our 'Flowers' challenge that launches today over on the Let's Craft and Create blog . 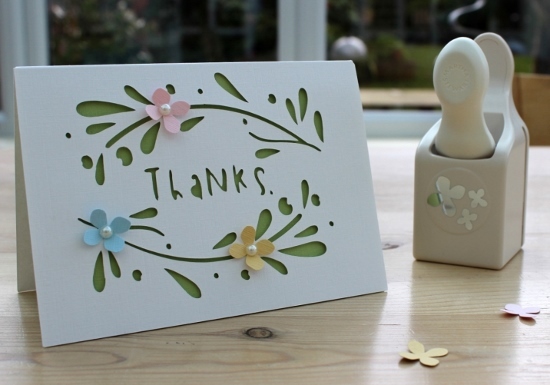 It would great to see you over there, just create a card or project using flowers somewhere in the design, couldn't be any easier, especially now Spring has finally decided to arrive! Papers: My Minds Eye The Sweetest Thing - Tangerine; Crate Paper Emma's Shoppe. Stamp; Stampendous Happy Greetings. I don't have a large range of paper punches, just a select few, mainly through lack of storage space. Half of my collection, I’d say is the basic shapes like circles, borders and squares. The rest are a couple of flowers, a heart, a star, and some impulse buys that have never been used. If I had to choose one as a favourite it would be this one, the Martha Stewart 3 in 1 hydrangea.punch. This card, cut on the Cricut Mini, was looking a little dull and ordinary before I added the punched flowers and flat back pearls. I think it’s the irregular shape of the petals that make this flower so pretty and able to lift even the most basic card design out of obscurity. Have you got a favourite punch that you couldn't be without? I'd love to know. A couple of weeks back I shared the first card I made with the Cricut Mini. Today, I'm sharing the next batch, this machine is ideal for mass production. 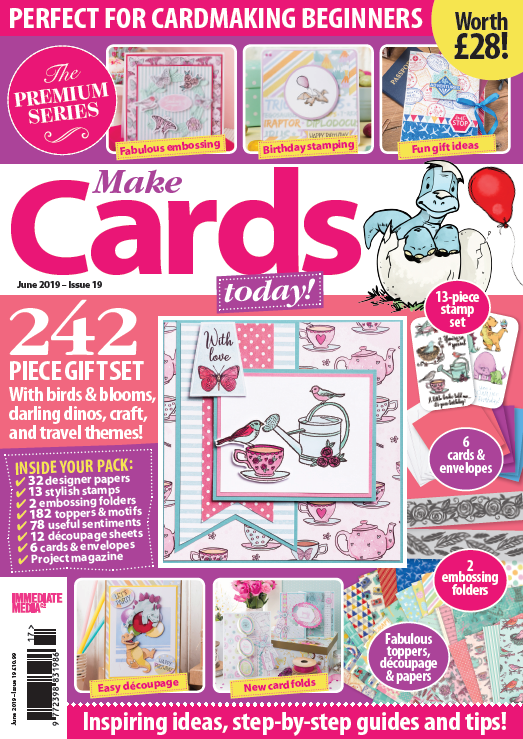 The Craft Room design software has a 'cut it free for a week' deal. You get to create with a selected cartridge for one week for free!!! This week the free cut is the Simple Cards cartridge. 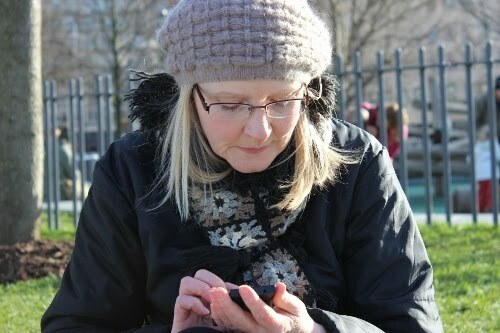 There are over 40 designs to choose from, just pick, click, and go. There you have a clean and simple card ready to put in the post. 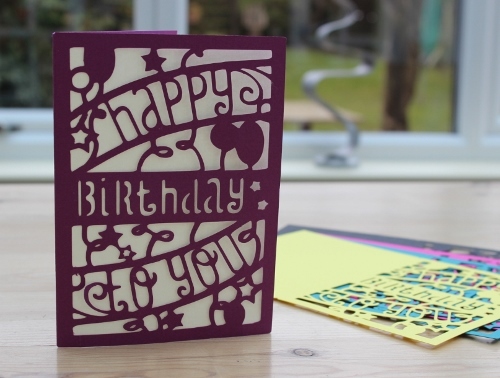 I've cut this design in a range of colours, ready to go the next time I need a general Birthday card. I'll be back tomorrow with my next batch of 'Simple' Cards. 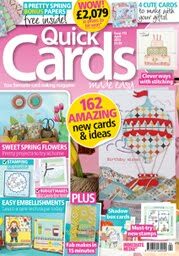 I love patchwork and one day I will make myself a 'Cath Kidston' style quilt. But in the meantime I'll settle for a card. 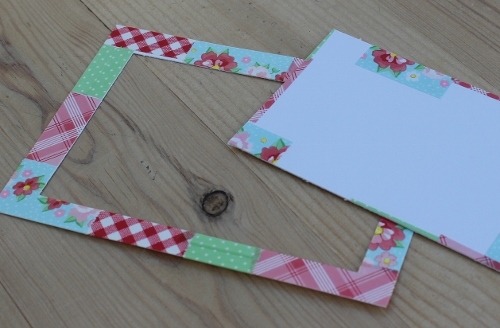 I've found an easy way to make a patchwork frame with washi tape. Here's how I made it. Cut a piece of card slightly smaller than the card front and stick different size pieces of coordinating washi tape around the outside edge. 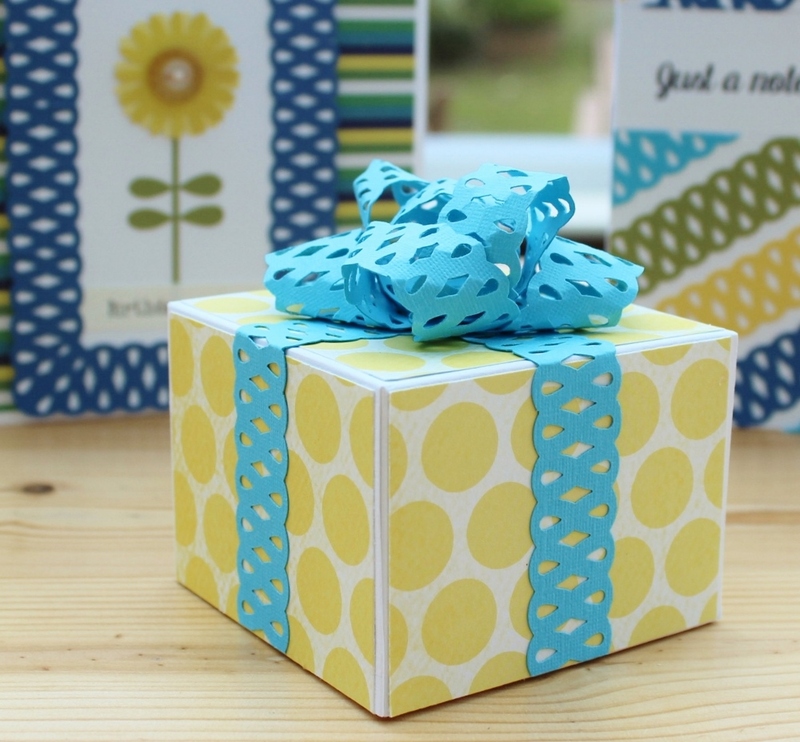 The beauty of washi tape is that you can reposition it if you make a mistake! 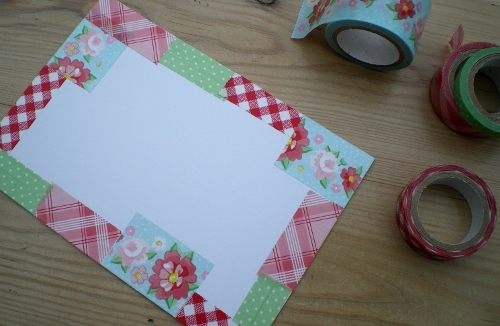 Cut out a rectangle from the centre and there you have a patchwork frame. 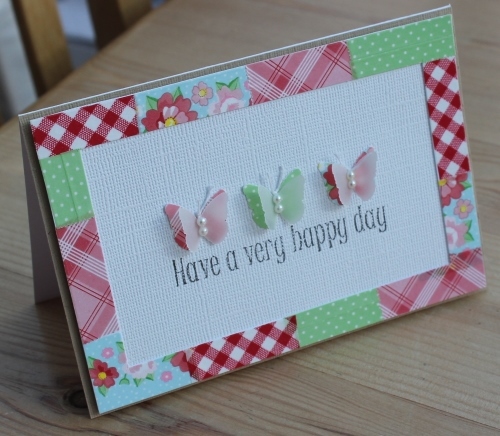 This is my card for the 'Anything Goes' challenge that launches today over on Let's Craft and Create blog. 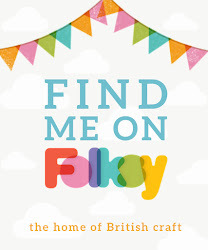 I do hope you can join us for this challenge, check out the blog for the details, some fabulous designs from the team and news of our guest designer.